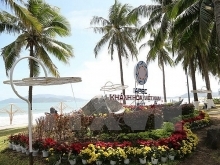 The first APEC Senior Officials Meeting (SOM1) kicked off in Nha Trang city, south central Khanh Hoa province, on March 2, with the attendance of delegates from 21 member economies of the Asia-Pacific Economic Cooperation (APEC) Forum. 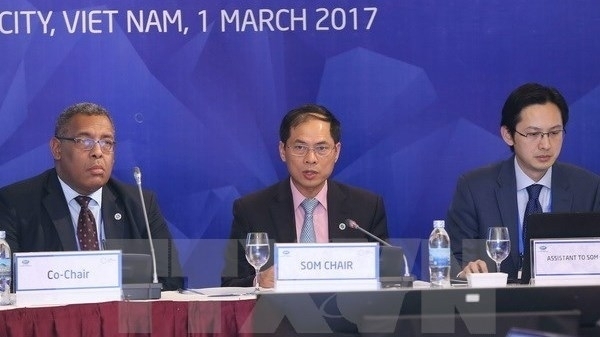 In his opening speech, Vietnamese Permanent Deputy Foreign Minister, APEC 2017 SOM Chair Bui Thanh Son said despite some positive prediction, global and regional economic growth remains slow. Global trade is weak, and investment is subdued, while there are many uncertainties in the world. But the Asia-Pacific region remains the engine of economic growth and integration, and a pioneer in advancing trade and investment liberalisation. “I believe that APEC has all the resources, potentials and capabilities to overcome these challenges, and turn them into impetus for further growth and development. As a grouping of dynamic economies, our region can and will continue to move ahead on the path of development and prosperity,” he stressed. 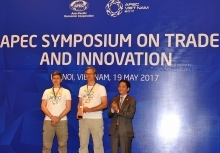 Son said at SOM1, delegates will hear reports and recommendations that have come out of APEC committees and working group discussions, and exchange views on how to advance APEC’s agenda in the four priority areas to help APEC affirm its relevance and role as the premier regional economic forum. The APEC 2017 SOM Chair expected that delegates will have an in-depth discussion on ways to promote the inclusiveness of APEC, to ensure that growth, globalisation and free and open trade and investment that APEC is championing will be beneficial to all people and do not leave anyone behind. In the morning session, APEC 2017 SOM Chair Bui Thanh Son highlighted the priorities for APEC 2017 and briefed on the key outcomes of the Informal Senior Officials Meeting (ISOM) which was held in Hanoi last December. The Chair of the Finance Senior Officials Meeting is to brief on the work of the Finance Ministers Process in 2017, including the outcomes of the Finance and Central Bank Deputies Meeting convened in Nha Trang city on February 23-24. 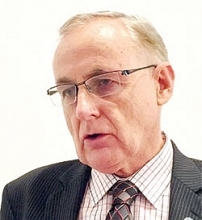 The Chair of the APEC Business Advisory Council (APAC) is scheduled to present the ABAC process and plans for 2017, including the outcomes of the ABAC-SOM Dialogue that was organised in Bangkok, Thailand, on February 21-22. The Chair of the Economic Committee (EC) is to report on the outcomes of the EC’s first meeting, including the EC’s priorities for 2017, and the implementation of the IAPs under the Renewed APEC Agenda for Structural Reform (RAASR). Also in the morning session, SOM1 is also expected to discuss how to ensure that growth benefits all, including improving social inclusion, promoting full and productive employment, economic empowerment of women, youth and people with disabilities.